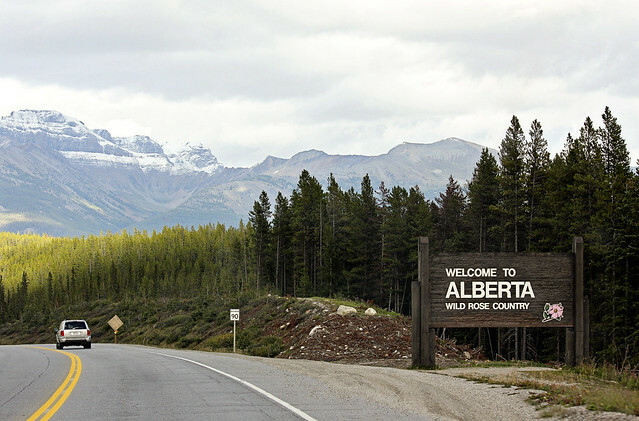 The Province is currently working on a new long-term transportation strategy for Alberta. Over the last two months, public discussions have been held throughout Alberta and in the spring, an online survey will be released. That’s a big challenge. But it’s exciting to consider! Needless to say, I’m not a fan of the proposed vision. It doesn’t tell me anything about what transportation in Alberta will look like in the future, especially as you could credibly argue that it reflects the current state of Alberta’s transportation system. What could it be instead? Well let’s consider the context. The shift from rural to urban has been dramatic in Alberta. According to the 2011 federal census, more than 56% of Albertans now live in population centres larger than 100,000 people in size, and 83% live in urban areas of any size (compared to 81% nationally). We’re an urban province now more than ever. The economic power of cities cannot be ignored. We know that vehicles are dangerous. According to the World Health Organization, “road traffic injuries are the eighth leading cause of death globally, and the leading cause of death for young people aged 15-29.” Here in Alberta, traffic fatalities have declined significantly from 2007 through 2011, but there are still too many of them. We also know that vehicles have a negative impact on the environment. They contribute to global warming, they contribute to smog, and they take up an incredible amount of land that could otherwise be used more productively. There are lots of other factors to consider, but I think these are the two most important. Reducing our dependence on vehicles and recognizing the importance of cities should be central any vision of the future of transportation in our province. Unsurprisingly, the two biggest cities in Alberta have already recognized this. The decisions made today about where and what to build will affect Calgarians for 100 years or more – just as decisions made in the past affect us today. Going forward, the transportation system must perform a wide variety of roles and consider the context of surrounding land uses, be they natural or manufactured. It must provide more choice for Calgarians – realistic choices that are convenient, affordable and attractive. These choices include walking, cycling, transit, high occupancy vehicles (HOV or carpooling) and single-occupant vehicles (SOV). We are building a 21st century city, shaping an Edmonton that will meet the needs of our diverse and growing urban and regional population. Growing environmental concerns, acknowledgment of the ongoing investment needed to maintain our transportation infrastructure and the rapid growth of our city demand a shift in transportation priority setting. It is a shift from single passenger vehicle use to more public transit; from building outward to a compact urban form. From an auto oriented view of transportation to a more holistic view of an interconnected, multi-modal transportation system where citizens can walk, bike, bus and train efficiently and conveniently to their desired location. I recognize that Calgary and Edmonton have a completely different context and set of challenges than the rest of the province does, but I think their transportation strategies are informative. Let me also say that I don’t think creating a vision statement is easy. I know a lot of hard work, thought, and difficult discussions are needed to come up with them. That said, I’ll take a stab at it. An innovative and sustainable transportation system that emphasizes high occupancy vehicles and strengthens the global competitiveness of Alberta’s urban areas.